What does a shadow sound like? 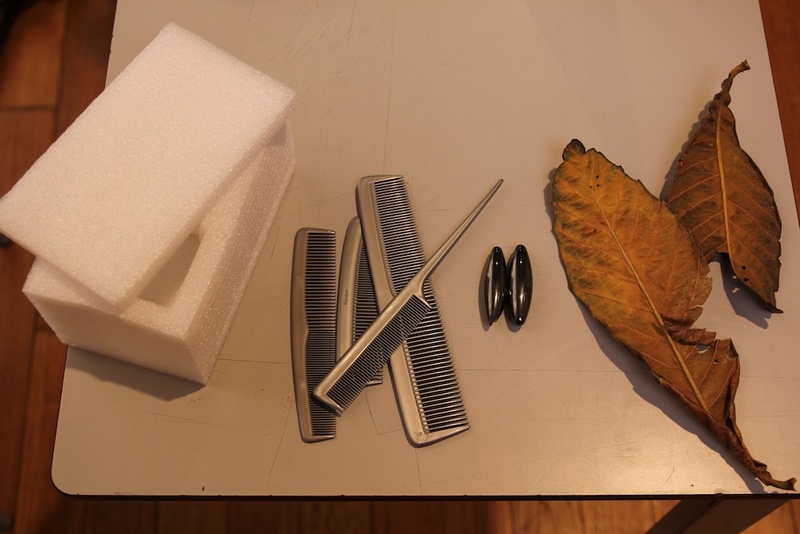 I’ve started work on the audio side of the project – I want to get at least some kind of interactive audio going for when we start to work with people in the space next week. I find the audio side of this project a little harder to conceptualise than the visual, which is a little embarrassing given my background in music and sound. However, I’ve struck out in a direction today which I think is promising. I think there need to be (at least) two types of sound at play in the space. First, I imagine dynamic, short-lived sounds that are produced directly by the movements of the player, giving the instant gratification of immediate sonic feedback. Secondly though I’d also like the ‘shadows’ – traces and sculptural forms left behind by players in the space – to vibrate, resonate. I’m thinking of the way that sand dunes ‘sing’ in the desert wind (not that I’ve every actually heard that!). I want the whole landscape to have a low level glow to it, only sonically. This is what I’ve been building today, as a starting point: any sufficiently rapid movement in the space will trigger a little impulse – a little starburst of noise – localised at the point where the movement happened. So as you move, you’ll leave a trail of sonic pinpricks behind you. Each of these tiny sounds will trigger a tuned resonance, and the resonance will feed back on itself, over and over. What begins as a noiseburst turns into a singing resonance, which then – very slowly – decays into a low ambient hum and eventually disappears altogether. I think this is an idea we might explore visually also, as we form an idea as to what the shadows should look (as well as sound) like. It would be interesting if they had a ‘half life’, and decayed – or were slowly eroded – over time, like those sand dunes I mentioned. 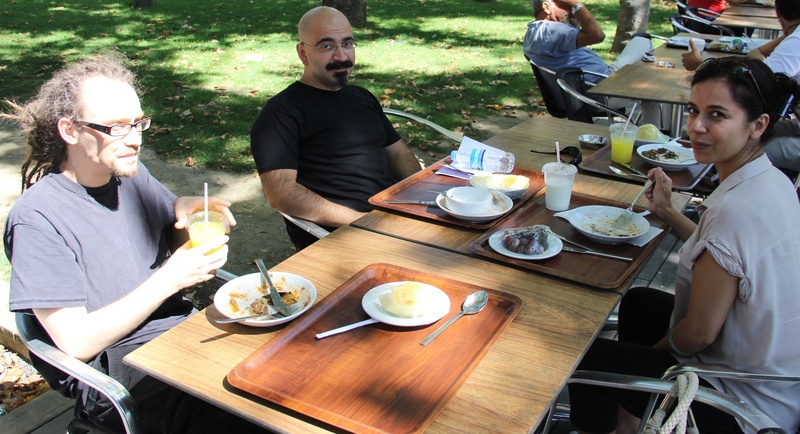 The picture’s not directly relevant to this post of course, but I want to put some faces to names – that’s Phill, Tolger and Aylin at lunch. Check Phill’s impressive ‘programmer’s tan’ – i think he threw the white balance on my camera. Did I mention that the weather’s really nice here at the moment?